Removing eyelash extensions properly can be just as important as putting them on in the first place! ‘Cause the truth is – no matter how beautiful your lash extensions were at first, there’s going to come a time when they look kinda awkward. Since your lashes don’t all fall off at the same time – thank God – there’s going to be a strange transition period when most of your lash extensions have already fallen off and been replaced by your natural, shorter lashes but there are still a few long, misplaced stragglers hanging on. Not a great look. 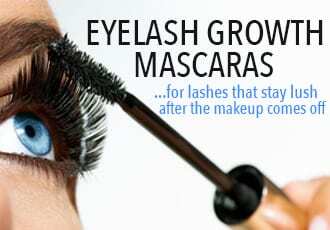 So let’s get to helping those last few persistent extensions ease gently off your lashes. Here’s how to do it! Eyelash extensions are bonded tight to your lashes using surgical-grade adhesive that’s designed to withstand water, soap and sweat. The result is that it won’t come off easily. And whereas you can remove eyelash extensions by yourself, the best option is to have your lash technician do it. Most lash extension salons will remove extensions free of charge and this is the safest way to avoid the risk of losing some of your natural lashes in the removal process. If you got your lashes done in another city or your lash technician insists on charging exorbitant fees for lash removal, a super easy option to remove extensions at home is to simply pick up a bottle of eyelash extension remover. 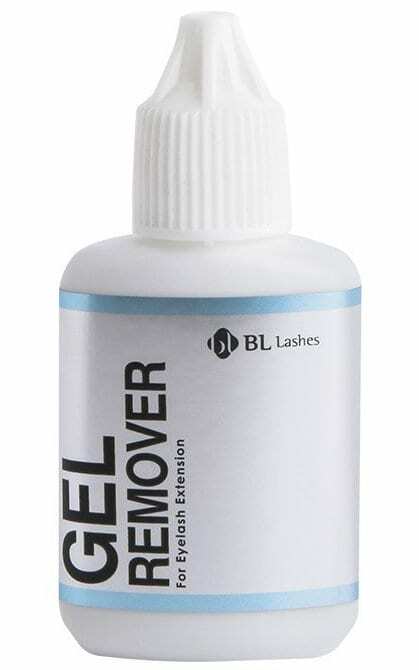 Blink Gel Remover is hands down the most effective for the job – it’ll easily take professional eyelash extensions off in a matter of minutes without damaging your natural lashes. To use, do one eye at a time so you can see what you’re doing. Squeeze your eye tightly shut and use a Q-tip to apply the gel to your lash roots – where the extension glue is – and wait for around 3 minutes. The extensions should come right off. 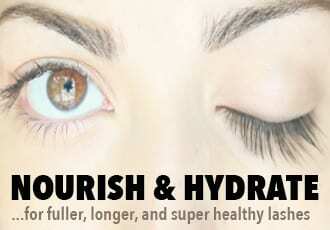 Rinse the solution off your eyes with cold water before opening your eyes to avoid any burning or stinging. If you simply have a few stragglers you want to take care of and don’t want to get the eyelash extension remover, you can manually remove lashes on your own without solvents or removers. Just keep in mind that the below instructions work best for straggling or near-mature lash extensions that are already at the end of their life cycle and just need a little extra boost. For newly-installed lash extensions, the above two options – going to a lash technician or getting a professional-grade eyelash extension remover – are the best way to go. Okay, let’s get started removing the last few stragglers! This step is all about coaxing – not pulling. The worst thing you can do to remove lash extensions is to try to pluck the lash out by its root – this is painful and you can end up waiting a long time for those lashes to grow back in. Do not do this! Instead, you want to gently coax just the lash extensions off without harming the natural lashes that they’re attached to. Start by cleaning your face of makeup so you can see exactly where the lash extensions begin on your lashes. 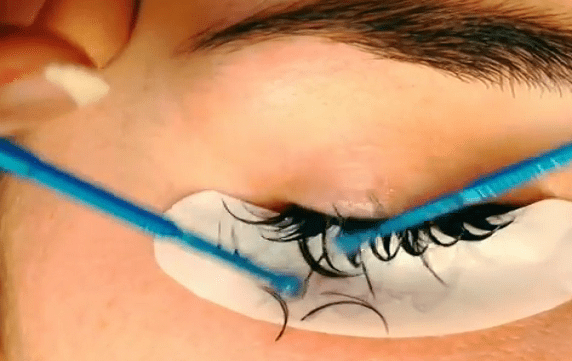 Next, you’ll want to loosen the lash extensions with steam. All this requires is that you fill a bowl with steaming hot water and place your face over it. 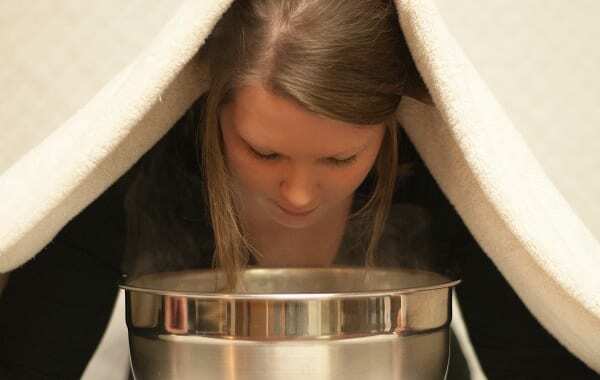 Cover your head and the bowl with a towel so the steam can’t escape and stay like that for around 15 minutes. The steam will naturally looses the bonds of the eyelash extension glue so the extensions are easier to remove and you get the double perk of opening up your pores as well! There’s good reason why in order to make your lash extensions last, you want to avoid applying oil products around your lashes – oils can be natural lash extension removers. So dip a cotton ball, cotton pad or Q-tip in olive oil or coconut oil and start very gently swiping at your lash line – where the glue is. The oil will help loosen the glue, allowing the extensions to fall right off. Continue wiping your lashes until all the extensions are off. Rinse the oil off your lash line and you’re all done! Your lashes have been through a lot – weeks of having glue attached to them plus the trauma of pinched and pulled lashes if you got a bad lash extension job. So why not show them some TLC after removing the eyelash extensions? The easiest way to do it is with an eyelash conditioner that contain nutrients, amino acids, peptides and extracts to nourish and moisturize as well as strengthen and fortify lashes against thinning and breakage. 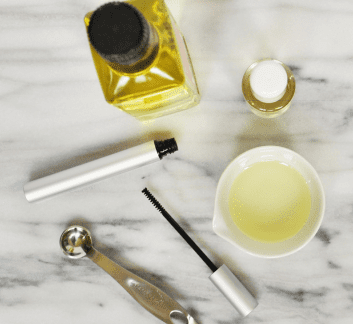 You can choose from one of the best eyelash conditioners or simply make your own DIY lash serum! Glad I found your website. I removed nine after wearing my lashes for a month and now my eyes look horrible. Won’t fix for a long time cos I want my natural lashes to grow back. I’ll keep these tips in mind for when next I fix. I wore lashes for a 3 week period. Looked great! Needed to have removed and re-done. The lash remover burned my eyes like H***! My technician said “THAT HAS NEVER HAPPENED!” REALLY? I DOUBT THAT! I had extension put on three weeks. Look good for the first week but I already had long lashes and the ones put on were of equal length, maybe a little longer. Well, they started hitting my glasses and very bothersome. So I tried taking them off with coconut oil. I’m so upset. I don’t think there are many of my own lashes left and I CANNOT get the last few off. I’m going to try the steam but I’ve been trying to oil them off for three days now. Why wont these come off??? I look ridiculous. Had my first eyelash extensions put on today to look nice for our daughter’s wedding in 2 weeks. Oh my! I look like a clown. The lashes are stiff and swoop up almost touching my eyebrow. They also itch and feel like flappers when I blink. The girl said I could get fuller lashes at my first fill-in appointment. These are thin and not at all lush. I can see gaps between my lashes. My natural lashes are fuller. Your article is great. At least I know these “little brooms” can be removed professionally. So disappointed. Also, 2 hours were allotted for my appointment. The girl was done in 45 minutes!! Also, was not given an choice with any variety of lashes. Paid $100. I got some today and feel the same! I look ridiculous. I told her I wanted a more natural look and got this. I’m going tomorrow to get them taken off. What a waste of money! I hate my extensions – much more maintenance than I expected, and they were uneven to begin with. They started to fall off on their own on one eye, and still thick on the other, so I decided to remove what’s left on my own. (It’s been only 1 week since they were applied.). I followed the steps on this site, and others – steam for 10 minutes, and apply olive oil with cotton. They didn’t budge. So now I’m going back to do the whole process again. By the way, I steamed using a clothing steamer which should be better than any other method – the steamer produces steady steam and I can easily control the amount of steam by moving it closer or further from my face. Ugg! Never again. I’ll just live with my regular lashes and use Latisse, which WORKS! Well I had first time lashes and lasted3 days!! I looked ridiculous 🤡 and couldn’t stand the feeling of them, and they hit my reading glasses. It was such an extravagant waste of money 😩 So last night after everyone went to bed, I sat up and set to with this advice. It worked, however it took a long time to do it. I didn’t time it but it was well over an hour. I think the steaming helped in the end. thank goodness I don’t look like a freak any more. Give me mascara any day. After getting my lash extensions removed, my lashes became shorter, thin, and straight. 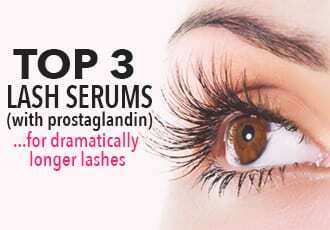 I did some research on various lash serums and found dermalmd eyelashes serum to be the best review! I gave it a try and OH MY GOD! My lashes have grown so much! I have more lashes, they are longer, and it’s not thin anymore! I got a lot of people asking me if my lashes were fake and what I did to my lashes. I recommend these to anyone especially anyone out there with Asian lashes. As an Asian myself, I suffer from short thin lashes, so dermalmd serum will definitely help! I love my extensions and have been going every three weeks for about a year, but am checking out this site, since I am considering going back to my real lashes. And glad I did will be making sure I get them removed by the technician.